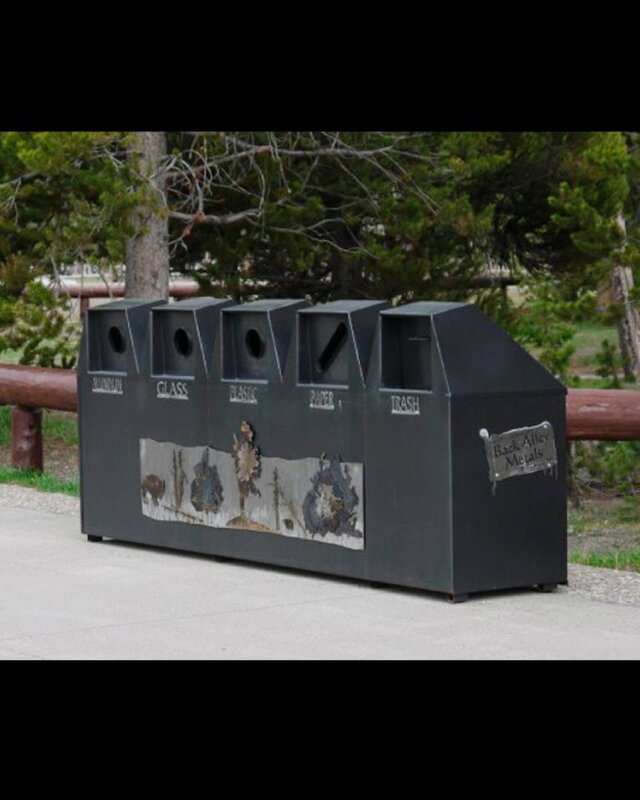 Our recycle units were first built for Yellowstone National Park which has had its fair share of bear problems. These recycling centers have angled tops so that snow and rain will run off easily. They are easy to open and use, and are handicapped- accessible. The dimensions are 10 feet wide, 24 inches deep, and 48 inches tall, and include 5 separate, clearly-marked units: aluminum, newspaper, plastic, trash, and cardboard (or whatever recycling designations you wish). 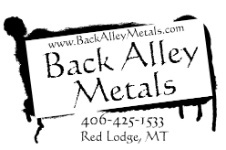 They come painted but not powder coated; we recommend painting them with hammered paint, which is rated a 10-year product, and comes in a variety of colors. Each recycling center will come complete with 5, 32 gallon plastic garbage bins which are very easy to empty, and will be ready to be put to public use upon delivery.